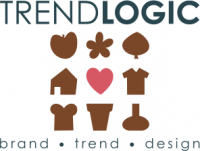 VITAL, FIT-ALL « Trendlogic bv. A trend that’s still strong! We all want to become old as long as we stay healthy. To fall is not a problem as long as you can stand up without help. Become old and stay healthy seams the dream that motivates people too. Eat more raw or rainbow coloured food or stick to a ‘pyramid’ diet. New healthy food habits as hemp oil, Chai seeds and coconut everything. Physical activities, new sports as Piloxing, Bossaball or Footgolf, maybe can motivate me? There is just one thing we seem to ignore in this vital life race… FRESH HELPING PLANTS: Oxygen for out and indoor life as ferns and Spathiphillum gain lovers. There is much more knowledge to be used for ‘vital’ consumer stories. Fresh herbs translated in drinkable energy a domain that nowadays still exist as mint in a pot next to basil and par parsilly . What about fresh Sage or Verbena tea or Artemisia absinthium? In English Wormwood, great after a hangover. A lot of stories, a lot of plants concepts to be told at food departments? Which retailer will be the first to open that Vital total mixed department? Where lots of new fresh stories and new health food such as peanut butter with seeds can be bought? If you want more inspiration visit the pharmacy museum in Heidelburg Germany.